Anita H. Corbett, PhD, is a Professor of Biochemistry in the Department of Biology at Emory University. 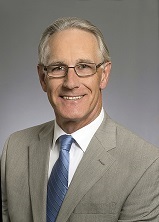 Dr. Corbett is a member of the Cancer Genetics and Epigenetics research program at Winship Cancer Institute. She received her PhD in Biochemistry from Vanderbilt University in Nashville, TN. She completed her postdoctoral training at Harvard Medical School in Boston, MA. She joined the faculty at Emory University in 1997. Dr. Corbett's lab studies both regulation of nuclear protein import and mRNA processing/export. They have a strong emphasis on collaborative studies that cross interdisciplinary boundaries. They exploit several genetic model organisms including budding yeast, Drosophila, and mice. Much of their current work focuses on understanding the role of RNA binding proteins in post-transcriptional regulation of gene expression with an emphasis on proteins mutated in human disease. Current projects study proteins linked to muscular dystrophy, cancer, and intellectual disability. Malu Tansey, PhD, is a tenured Associate Professor at Emory University School of Medicine in Atlanta and a member of the Center for Neurodegenerative Diseases (CND). She obtained her B.S/M.S in Biological Sciences from Stanford University in Palo Alto, CA, and her Ph.D. in Cell Regulation from UT Southwestern Graduate School of Biomedical Sciences in Dallas, TX, where she studied the role of MLCK phosphorylation in regulation of smooth muscle contraction in the laboratory of Dr. James T. Stull in the Department of Physiology. After a short post-doc with Kate Luby-Phelps in the same department, she moved to Washington University Medical School in St. Louis, Missouri to the laboratory of the late John P. Merlie where she elucidated the signaling mechanisms required for ARIA/Heregulin-induced acetylcholine receptor epsilon gene expression at the neuromuscular junction before settling in the laboratory of Eugene M. Johnson Jr. in 1996. 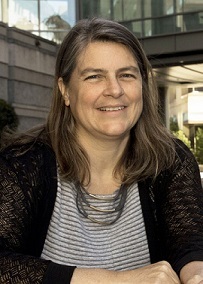 She and her colleagues in the laboratory of Jeff Milbrandt identified new members of the GDNF Family of Ligands (GFLs: Neurturin, Persephin, and Artemin) and their paired GFR binding co-receptors (GFRalpha2 and 3) and demonstrated their potent bioactivities on multiple neuronal populations. Their work was the first demonstration that ligand-induced recruitment of a neurotrophic receptor (Ret) to lipid rafts for interaction with c-Src was functionally required for GFL-induced neuronal survival and differentiation. Prior to setting up her academic research lab in 2002, she was head of the Chemical Genetics group at Xencor, a private biotechnology company in Monrovia, California whose mission is to create superior biotherapeutics through protein engineering technology. She and her colleagues engineered soluble TNF-selective biologic inhibitors with a novel dominant negative mechanism of action which her lab has used as powerful tools to investigate the role of TNF signaling in neurodegenerative and neuropsychiatric diseases using in vitro and in vivo models. The translational research goal of these studies is to target soluble TNF with the brain-permeant lead clinical candidate XPro1595 in clinical trials for CNS diseases characterized by chronic central or peripheral inflammation. The general interests of her laboratory include investigating the role and regulation of neuroinflammatory and immune system responses in modulating the gene-environment interactions that determine risk for development and progression of neurodegenerative and neuropsychiatric disease. 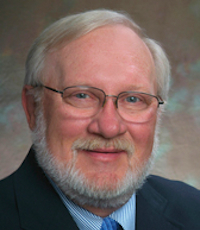 Pat Marsteller, PI, is a Professor of Practice in the Department of Biology and a half time Associate Dean. 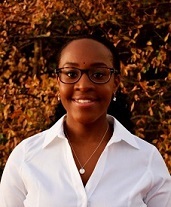 As a founding PI of the Emory IMSD program, she currently supports the new PIs in all of the programming. She loves teaching at all levels. With her dean hat, she helps faculty find funding for undergraduate research and helps faculty with curriculum and training grants. She studied evolution of animal behavior for her MS degree at the University of South Carolina and quantitative genetics and evolution of life history patterns for her PhD at the University of Florida. 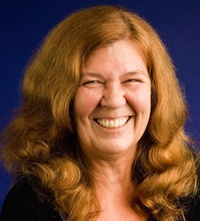 She directed the Emory College Center for Science Education from 1997- 2016, and still directs the Emory Howard Hughes Medical Institute (HHMI) initiative (since 1990) as well as many other science education programs. Her particular interests include promoting access, interest and participation in science careers. She is interested in improving science literacy and providing hands-on research for undergraduates and curriculum development experiences for graduate students and faculty. She develops programs that focus on attracting and retaining underrepresented students, women and minorities in careers in science. She helped begin the Summer Undergraduate Research at Emory (SURE) program and also has a HHMI/SIRE collaboration for introducing first and second year students to research. She has an abiding interest in developing great mentors and has taught mentoring courses for graduate students, postdocs and faculty. She believes science must be taught to prospective scientists and non-science concentrators in ways that foster critical evaluation of both evidence and potential consequences. From the very first course, students should be taught to think like scientists, to evaluate and weigh evidence, to communicate clearly and to place scientific data in context. Instead of focusing on science as a body of knowledge, students are allowed to inquire, investigate and communicate. Inquiry-based approaches such as problem-based learning (PBL) and investigative case based learning (ICBL) have documented success in enhancing conceptual understanding and increasing skills in problem solving, critical thinking, communication and self-assessment. By using complex, authentic problems to trigger investigation in lab and library, students develop critical thinking, problem solving, and collaborative skills. These methods allow students to experience science integrated with other disciplines such as mathematics (graphs, statistics), history (social, economic and political context of the issue), and language arts (conveying research results) and enhance their capacity for creative and responsible real-world problem solving. Inquiry science courses can integrate ethical dimensions of science. Debates on cloning, DNA testing, limits of prediction, and potential perils as well as benefits of science deepen understanding for all students. Combining such approaches with practice in communicating science to different audiences creates engaged scholars and a scientifically literate public. I’m one of the PIs and Graduate Coordinator of the Emory IMSD program. I was born in Millport, Isle of Cumbrae, Scotland, and earned both my B.Sc. (Honours) in Pharmacology and a Ph.D. in Pharmacology from the University of Glasgow. I did postdoctoral research at the University of Michigan and the Karolinska Institute in Stockholm, Sweden. I joined the faculty at Emory in 1986, where I’m a Professor in the Department of Pharmacology. Aside from my research, almost all of my other career activities have been devoted to graduate training, mentorship and diversity and inclusion in the sciences. I’ve been involved continuously in graduate program administration for 20+ years, serving as either Director or Director of Graduate studies for three different programs. Most notably, I was program Director of the Molecular and Systems Pharmacology (MSP program) from 1999-2010, and Co-Director 2010-11. From 2004-2014 I was the P.I. of the T32 training grant that supports the MSP program. I was the Chair and organizer of the Emory University-Laney Graduate School STEM Research and Career Symposium, which is a core part of IMSD’s strategy to recruit underrepresented students to Emory, since its inception (2013- 2018). I am also co-founder (with Keith Wilkinson) of the Atlanta Society of Mentors, which instigated mentoring workshops for faculty and students that are a core activity for IMSD. I maintain an active research lab working on regulation of hepatic cytochrome P450 enzymes by inflammatory and infectious stimuli, as well as on contributions of xenobiotic metabolism to the human exposome. Dr. Ludy Registre is the Assistant Director for the IMSD program. 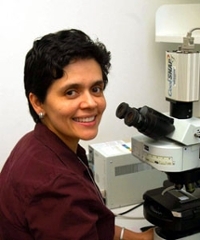 Dr. Registre received a BS in Biology from St. John’s University, completed a post-baccalaureate research education program (PREP) at University of Rochester, and then received her doctoral degree in Microbiology from Boston University in 2018. She gained a passion for increasing and fostering an interest in STEM in underrepresented communities during her Ph.D. where she was a teacher for several STEM outreach programs. She is committed to nurturing the growth of aspiring scientists by enhancing the undergraduate and graduate experience through mentorship and professional development.